There is a group of people–many of the female persuasion–who live their lives occupied by little more than their “job” of being a celebrity. These celebrities are constantly featured in the newspapers, in magazines and/or on TV, despite their apparent lack of talent–-other than wearing little clothing, see-through clothing, bikinis, underwear, lingerie, or no clothing at all in public. Appearing undressed–or nearly so–appears to constitute their primary discernible skill. Though the Corporate Media pushes these celebrities on the public as “hot babes,” occasionally photos will surface which make it clear their photos are retouched and Photoshopped to make them appear more appealing. They also are “pregnant” quite often–AS IF this will somehow make them appear as a “real person.” This allows the celebrity to be photographed or taped doing things their followers do, such as those tasks involved with raising a child. However, the children of such celebrities serve as mostly props. It would be interesting to see how the children of celebrities turn out. NOT financially–their background and connections almost always insures that they will enjoy the things of the world–but how these children end up their lives. The modern celebrity’s “job” mostly involves some task which 1- requires little skill; and 2- requires the person doing the task to be grossly overpaid. Sometimes, they will act or sing (usually badly). They will often bemoan how “hard” it is to act or sing. Some of their tales will center around the difficult preparations they have have to do in order to act or sing. Sometimes, they will wear the clothes of others (fashion model). Often, they will inexplicably be awarded fashion lines of clothing, perfume or make-up. Usually, they will have “reality” TV shows which feature their barren, hollow lives. Almost always, they are annoying. ALWAYS, they will be “connected” in some way–either this fact will be publicized (as in the case of the son or daughter of another celebrity) or it will not be (as in the case of a younger member of an older bloodline). These “celebrities” are famous for being who they are. Their empty lives and thoughts are continually forced upon the rest of the population by Satan’s Mouthpiece (the Corporate Media) because (it is hoped by those who call the shots) that one day, these celebrities will become good little puppets mouthing propaganda to the mindless slaves who follow such wasted lives. 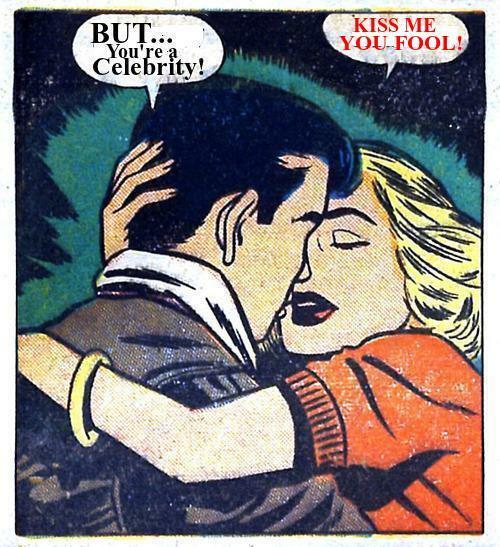 The modern celebrity’s life may appear to be homogeneous. Yes, the modern celebrity DOES have a lot in common with other celebrities (family connections often going back centuries; a background of extreme wealth [whether this is public knowledge or not]; a disdain for Christianity and the precepts thereof; an appreciation of the finer things of life and the means to purchase such things; a contempt for others who are not of the same social strata; the ability to live a lie, while appearing to be comfortable in public; and, a single-minded hunger for attention and fame). However, each celebrity is created to attract maximum attention from a particular group and then to distract anyone so interested from other, more important matters. So, while the modern celebrity is primarily a distraction, that is NOT all the modern celebrity life is. The celebrity becomes a mouthpiece for those who supply the means for his fame, wealth and lifestyle. Because of this, the celebrity is an important conduit of propaganda and other deceptions. The celebrity becomes, in effect, a walking advertisement for certain causes célèbres, giving those behaviors credibility and an air of normality. So, while the modern celebrity may appear to be empty-headed and vacuous, a great deal of thought has gone into the celebrity’s utterances, appearance and behaviors. In fact, IF the modern celebrity did not exist, s/he would have had to be invented. There are certain words to live by IF one is a celebrity. The reader no doubt knows who many of these “celebrities” are. DOES the reader follow the events in the life of one of these celebrities (either in music, theater, movies, TV or otherwise)?